On a frigid afternoon Monday, in their home opener against Kings Park, the Blue Waves found themselves in a much different game. Facing a perennially strong team, the Blue Waves fell 13-8 to the Kingsmen, who batted around in the sixth inning for 7 runs to blow the game open. It was a welcome-to-the-varsity moment for Plitt, who was making her second career start on varsity. With the Blue Waves’ second pitcher, Jess Freeborn, out with an injury, Plitt was forced to stick it out until the end. Plitt and the Blue Waves showed some resiliency, an encouraging sign for first-year coach Jeff Doroski. After falling behind 13-4, the Blue Waves bounced back in the bottom of the sixth to score four runs and give themselves a chance at a comeback. Then in the seventh, Plitt retired Kings Park in order for what was her second one-two-three inning of the game. But it wasn’t enough to overcome the 20 hits Kings Park scattered over the field. Kings Park junior Cheyenne Giarraputo opened the sixth with a home run to center field that sparked a huge inning. Eight of the first nine batters for Kings Park reached base as the flood gates opened. Riverhead (1-1 League III) led 4-3 after the fourth inning. But Kings Park scored three in the fifth to reclaim the lead and never looked back. Riverhead shortstop Dani Napoli went 2-for-4. She tripled in the third to drive in a run and came around to score on an errant throw to home plate. That tied the game at 3 in the third inning. Second baseman Sara Tucci singled twice and had a pair of RBIs. Plitt also singled twice and drove in a run. First baseman Karla Vanston tripled in the sixth inning and drove in a run. The loss of Freeborn — who injured her shoulder in the first game of the season — forced the Blue Waves to shuffle around players in the field. Eighth-grader Ally O’Kula got the start in right field and she reached base twice with a single and walk. Center fielder Sarah Freeborn made several tough catches in the field and she reached base three times. 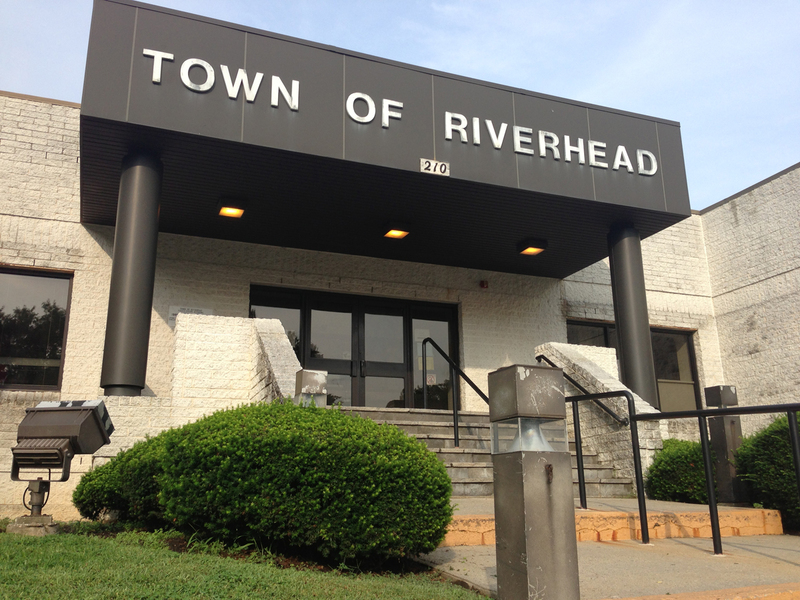 Riverhead twice turned double plays. In the seventh, the Blue Waves whipped the ball around the infield to turn a 5-4-3 double play. Freshman Cassandra Cancemi earned the win for Kings Park. The Blue Waves return to action Wednesday at Comsewogue.